Working in the back loops is a useful tactic when you want to create an item with a little bit of ribbing detail. 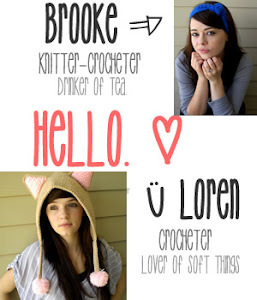 Not only does this make your work look more interesting but it gives your item a lot of useful stretch and softness. Where exactly is the back loop? Once you know where to look, the back loop is super easy to identify and breeze to work in. 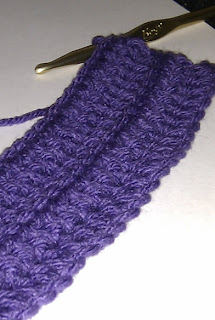 Look at the top of your row of crochet. There is a "<" shape at the top of each individual crochet. When you are holding your work as if you are working right to left, the back loop is the farthest leg of the loop from your body. Working into the back loop is super easy. 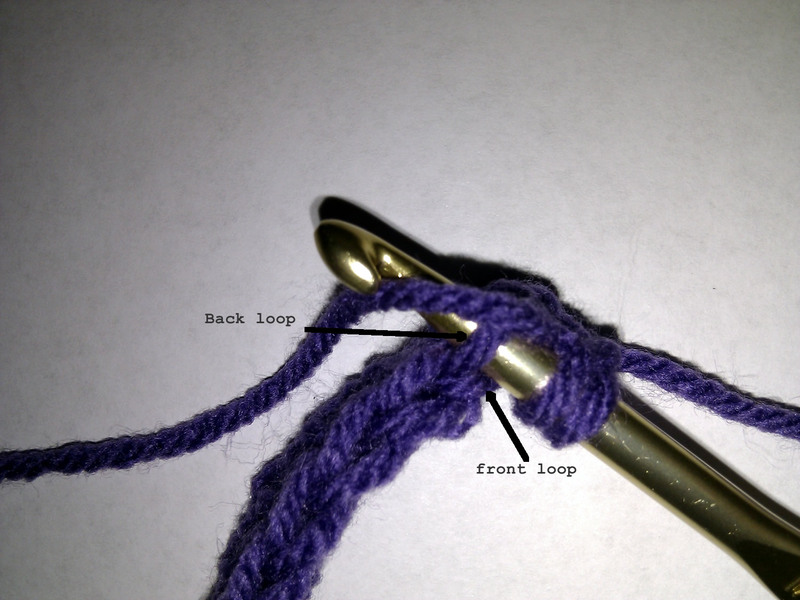 Insert your hook into the "<" shape, through the middle [in between each leg]. 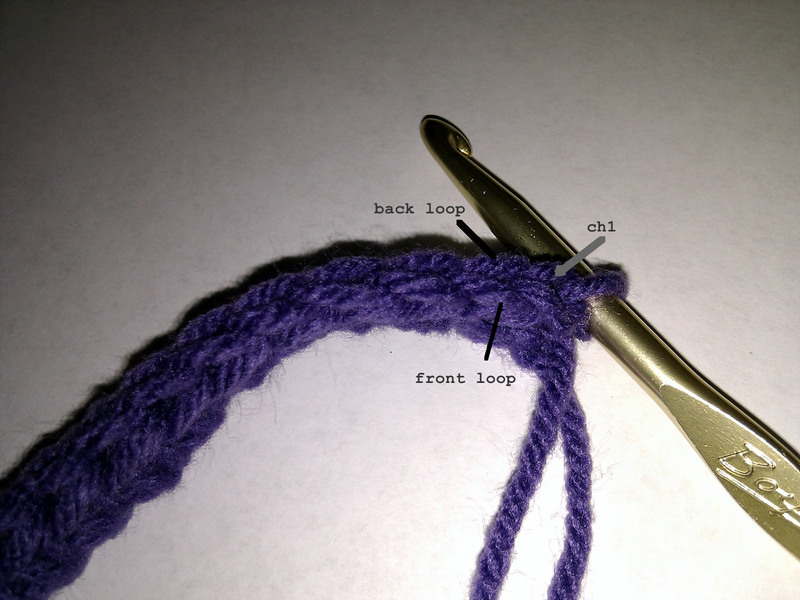 Push your hook under the back loop and work your crochet from there! 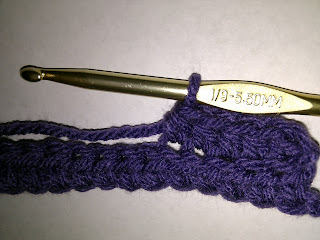 If you are working your crochets in the back loops, you will start to notice a subtle ribbing of your item. If you have any questions, feel free to email me & ask! You did a good job with these instructions. I've been waiting to see when you'll start posting patterns. I'm sitting on the edge of my seat here.